Aria, at 110 Brew Street, is the second phase of Onni's Suter Brook Village master community plan and the 1st of 2 towers to be constructed. 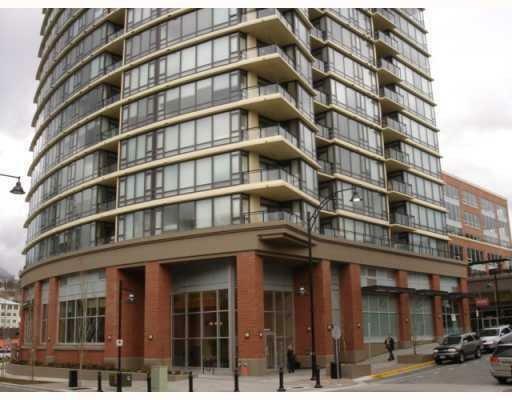 Aria is a 26-storey highrise and offers 1, 2, and 3 bedroom layouts. 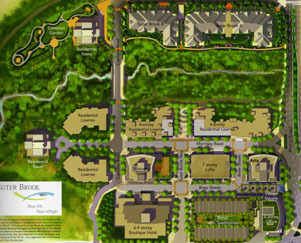 The community includes restaurants, boutique shopping, a Thrifty's grocery market and a private 14,000 sq.ft. amenity centre. 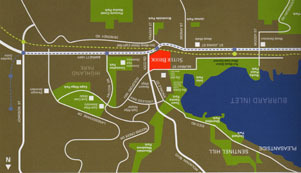 The village frequently hosts community events and is only a short stroll away from Rock Point Park, The Inlet Theatre, Port Moody Recreation Centre and Newport Village. The West Coast Express rail service will zip you downtown in only 25 minutes. Skytrain is slated to start constuction in Spring of 2011, offering one more great service Port Moody has to offer. Barnet Marine Park (one of Vancouver's best kept secrets), White Pines and Buntzen lake are only a few minutes drive away. Get the best of all worlds, the serene natural setting of the Burrard Inlet and the trendy urban lifestyle offered in Port Moody. This is a fantastic alternative to the high cost of downtown living. wheelchair access, gym, hot tub, sauna, steam, lounge, media room, park or garden, squash or racketball court, Insuite laundry, Indoor pool, A 15,000 square foot Recreation Centre, with indoor pool, hot tub, saun, steam room, fully-equipped gym, squash court,yoa/dance studio, crafts room, and biliards/games room. There is also a theatre, and a study/library. The rec centre has a rooftop garden, BBQ patio and two-storey lounge with full kitchen facilities.